The MDR was designed to be one of the most compact, adaptable and user-friendly semiautomatic rifles available. Many unique features set the MDR apart from other rifles. The MDR is also ideal for police and other enforcement agencies, as well as self-defense and hunting. 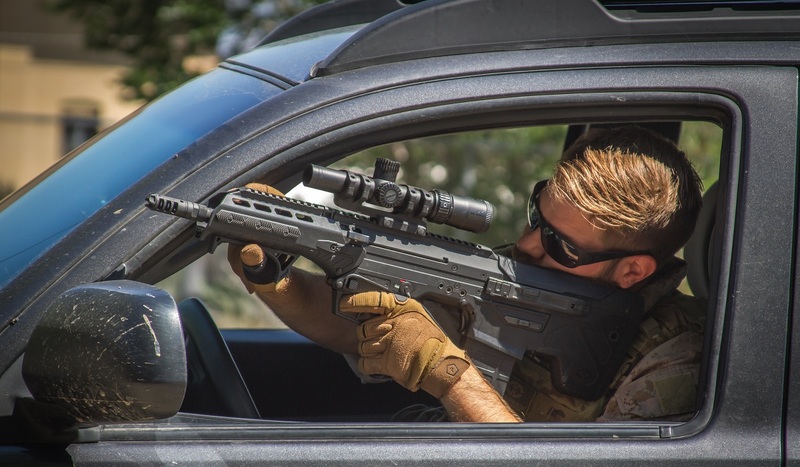 The MDR is a compact rifle that utilizes a bullpup design, its compact design makes it highly mobile and reduces the length of the MDR by 8-12” shorter than conventional semiauto rifles of the same caliber and barrel length. The MDR utilizes fully ambidextrous user controls for both left- and right-handed users. The locations of the controls maximize accessibility and speed without them being unintentionally bumped. The MDR reduces the number of motions required to change magazines to be one step less than an M16 requires. The side charging handle prevents the user from needing to move his head and the low position of the side charging handle easily clears optics and mounts, so the user doesn’t damage his/her knuckles. The side-charging and bolt release both work together to increase the operating speed of the MDR with the intention to reload faster than an M16. 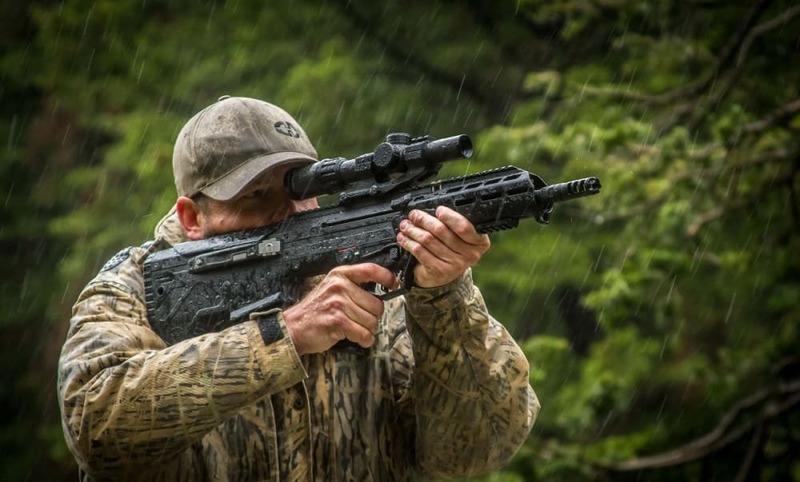 This ejection system allows the operator to instantly transition from left to right shoulders without worry of spent casings hitting them in the face and without having to reconfigure the rifle. The ejection chute assembly covers can be easily transposed on the rifle by the user so that it will forward eject from either the right side or the left. This is not necessary to shoot from both left and right side of the rifle, but dedicated left-handed shooters may prefer that it forward eject from the left side of the rifle. The MDR can also quickly be converted from 7.62×51 down to 5.56 NATO (and soon the .300 BLK). Conversion is accomplished by changing the bolt head, inserting a magazine adapter into the mag-well and swapping the barrel out with a 5mm Allen wrench. The MDR has excellent ergonomics; its balance point is very close to the shooter; the user controls are in intuitive places that reduce the motions operators go through to operate the rifle. The buttstock is angled to ensure consistent eye relief with a mounted optic from prone, sitting, and standing positions. 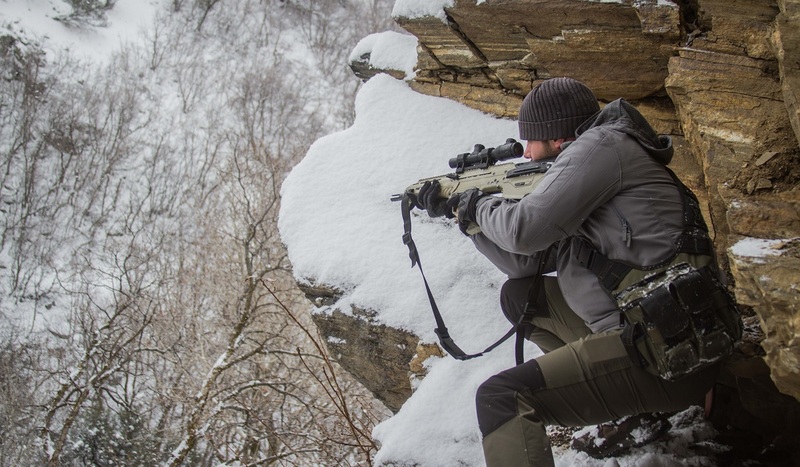 The stock angle also allows the shooter to adjust length-of-pull by sliding the rifle up or down their shoulder. The pistol grip angle is optimized for user comfort.